When it comes to customer retention programs, nothing is as powerful as a membership. The client is committed and your business has guaranteed revenues. Memberships are not without their risks, however. If they are improperly structured or ill-fitting they can cost your business long-term revenues. Knowing how to setup and sell your membership program is essential to develop strong customer retention strategies. 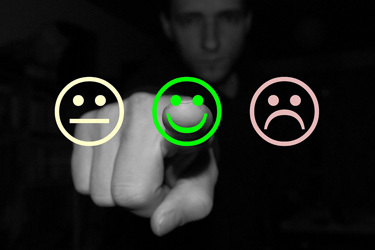 This is part 3 of our series on customer retention programs and covers memberships. Discover the many ways they can be structured to best serve your clients and your business. Find out how to make them successful and how to avoid the traps that may cost your business long term success. A membership is a prepaid retention program based recurring periods of time where a client receives benefits in return for a membership fee. Benefits can be offered in many different ways and usually include the services for free or at deep discounts. They can also include discounted products and other non-direct benefits like allowances for friends and family. A standard membership is structured so that benefits are limited to the member and for the duration of the benefit period. This incentivizes the member to take advantage of the benefits during that time and insures the business can allocate resources properly. A standard membership can also be enhanced to produce a flexible membership. Flexible memberships have rules that create better responsiveness to the clients needs and often allow roll-over or transfer benefits. A flexible membership makes it easier for clients to join and use and can benefit the business through exposure and increased customer experience. Memberships are a valuable part of a business’ customer retention strategy because they, like packages, are prepaid. The business receives the money up front for services to be rendered later. 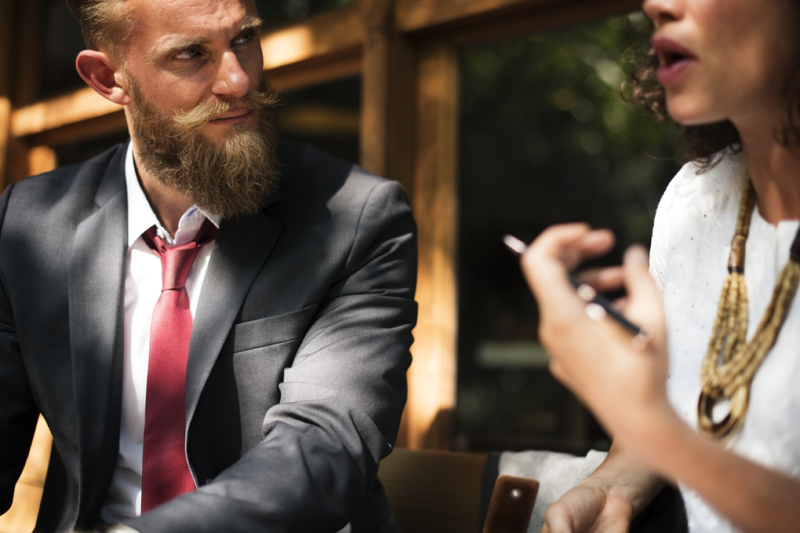 These can help both the business and the client in many ways, but care must be taken when creating and selling them, or they can upset the client and hurt the business. How memberships are set up really depends on the goal of the business and the needs of the client. When properly crafted, these programs will generate long-term repeat visits that translates into success for the company and client alike. What are the client’s needs and wants? What is the goal of the membership program? How are clients for the membership being sourced? What percentage of clients is the membership for? What would be considered “successful use” of the membership? How many recurring periods should the membership run for? These questions will give you a framework for how to set up your program. By answering these questions you have the knowledge to create a successful program that will deliver repeat visits and stable revenues. Even service-based business owners tend to forget they are here to serve the client, when it comes to designing their customer retention programs. They tend to look at it from the perspective of what the company needs instead of what the client needs. The company’s needs are important, but if the programs aren’t meeting the client’s needs, it doesn’t work for either. Research the client’s needs and wants when designing the programs so you can avoid failures. Just ask them, they will tell you. What is the goal of each membership program? After recognizing the client’s needs and wants are primary, it is important to define the business goals for each program. Is it to convert as many new visitors into regular customers? Is it to convert daily dealers into monthly visitors? Is it to make it easier for the most active clients to use your services frequently? The answer to this questions will provide a top level understanding for the purpose of the program that will cascade down to how it is setup. How are clients for the membership program being sourced? This question will help you answer many aspects of the program design, including cost, benefits, and duration. If your clients are coming in from standard marketing programs, it will be structured differently than if they were coming in as referrals or daily dealers. How clients are being sourced will also help set up the order of offering, or triage of offerings. You will likely have several retention programs, but you don’t want to flood them with too many options. Knowing where clients are sourced helps give the easy choices that work for them. Is this an upsell from a standard visit or is this to entice a unique or expensive purchase? Will this be the most common type of program offered or a last resort if other retention programs are refused. Defining what your conversion process is, helps you to focus the the design of the program to be effective for achieving the goal of the retention program. What percentage of clients is the membership program for? This is a more obscure discovery question but it serves a very important purpose. If we attempt to serve everybody, we end up serving nobody very well. It is better to limit the program to just the people it serves best than to try to make it a one size fits all. The answer to the previous question 4 will help determine how many clients each program will be for. Then tailor the programs to best suit them. You would rather have 4 retention programs that deliver 15% conversions each, than a single program that delivers 25%. What would be considered “successful use” of the membership program? Plan ahead. If you can identify what a successful use of the program looks like, you can be sure to structure price and distribute resources appropriately. It also serves to identify what an unsuccessful program looks like so you can craft a better fitting program for those clients. How many recurring periods should the membership program run for? In the same spirit as question 5, how many periods the program should run for creates limits to insure success. It is counter-intuitive as the tendency is to make it indefinite to generate more revenues, but this will likely cost long term customer loyalty. If a membership or club expires, then it can be renewed with the agreement of the client. If they need a break, they will return when they are ready. If it does not expire and a client is charged and not receiving benefits, they will be upset, cancel, and likely not return. This reduces the long-term revenues and doesn’t really serve the client nor the business. With these questions answered, you will have the information required to set up memberships or clubs that will serve your business interests by first serving the client’s. If the programs are initiated for this primary purpose and then structured according to the findings of the discovery, the chances of success of each program will increase dramatically. Successful programs are great for the client and the business alike. There are countless ways a membership can be setup and can be as unique as each business that offers them. The main types of standard memberships are progressive and periodic memberships. Progressive memberships are designed to allow more use within a period while periodic memberships are to allow a set number of uses. Periodic memberships can also be enhanced to create a flexible membership to allow more use of services within the benefit period and roll-over and transfer of benefits. Using the questionnaire above will give you the right information to know which structure will work best for your business type. The following membership types are just a few of the many ways the program can be set up. The progressive membership is the traditional membership program whereby, in return for a periodic fee, a client receives deep discounts on the services used. Services are often not limited making it more beneficial to a client who wants to use them as much as possible. This is great for the client as they have more access to the services that help them, but it is important for the business to take this into consideration when factoring price over allocation of resources. If the service can be used regularly and space is limited, then too low of a membership fee and/or service price can lead to low or negative returns and the potential turning away of other, more profitable, clients. The progressive membership is usually reserved for businesses with a very low cost to provide the service and a high capacity for use. Its simple structure also works well for businesses with numerous service offerings. It generally has a single discount structure across all services making it easy for clients to know what they get. The simple progressive membership should be limited to only the clients who will use regularly. The periodic membership usually includes a limited number of services to be used within each benefit cycle. There are often different pricing tiers to fit the differing needs of the clients. Lower cost memberships will allot fewer services per cycle and higher cost will allot more. Periodic Memberships are generally best for businesses that have a higher cost to providing the service and more limited space. It guarantees the membership fee and limits the benefits to the allotted number of services. It is also more difficult for businesses with several service offerings because of the different costs for the services rendered. If all services have the same allotment, clients may prefer to only use the more costly services and can reduce the returns for the business. These membership styles tend to be rigid, out of the box, and can be enhanced in different ways to make it easier for the client to use. Enhanced benefit options may be added for free or for a premium and can include the ability to roll-over unused services to the next cycle or to transfer them to friends and family. It can also include more services to be used within the cycle at a discount. This flexibility does make it more attractive to a client, but also more complicated for a business to manage. The simple periodic membership program offers a single service each benefit cycle in return for a recurring membership fee. The benefits are limited as is the duration. This type of membership is good for hair salons and other services, whereby coming in more often doesn’t necessarily make better results. It incentivizes periodic visits, not more visits within the period. For businesses where using more services within a cycle is beneficial, pricing tiers can allocate more services to be used by the client. Many businesses will attract new clients with deep discounted promotions and use memberships to convert them into regulars. This conversion is important to recoup the costs of the first service deep discount. The problem is, once they receive a deep discount, they tend to always expect it. The promo conversion membership has a low barrier to entry and converts the cost of the client acquisition into profits over time. This type of membership program works best when the promoting company is a daily deal or some other marketing company where there is a fee or shared revenue. Getting the client to come back directly to the business for the same price can gradually earn back the fee paid to the marketing company. Businesses want more exposure and people tend to be risk averse. The increased exposure / limited risk membership structure addresses both by allowing services not used within the period to be roll-over to the next period or transferred to a friend or family member. These memberships can be harder to manage and are not without issues, however. If enough services are rolled over, there is no incentive to continue with the membership and a client may cancel early. Furthermore, if this membership is enhanced to allow more use at a discount, it can be abused by a single membership used to serve more than one person. It is important to anticipate this and to price and structure appropriately. Benefits: 1 or multiple service earned per period with rollover and transfer rights limited to approved persons. Membership benefits can be enhance with more services at a discount. These memberships examples are just a few common ways that memberships can be structured to serve different purposes. Again, the number of different ways they can be set up is numerous and will depend on the purpose of the program and the nature of the business. If you do a proper discovery, you will have the information necessary to set them up successfully. While memberships are very common customer retention programs, they are not without their downsides. The biggest of these will be the commitment. Most people do not want to commit to recurring fees. The number of clients that opt into memberships is generally lower than any other type of prepaid retention program. The number often ranges from 1-2% for poorly structured or limited style memberships to 15-25% for optimum programs. This places them at a limited value for a company and is usually reserved for a select few clients. Another drawback is the incentive a business has to push a client into a membership often backfires. Since the client will commit to a recurring fee, a business will want them to join at all costs. However, if a client doesn’t use the services, and are paying the fee, they will become upset and cancel. It is important to note, that if a client cancels a membership because they are upset, it is actually severing a relationship which often can’t be mended. It is much better for the long-term success of a company to fit a client with the program that suits them best. Lastly, when the membership has ended, some clients will want to renew, but many won’t. Those that don’t renew may find the retail costs of the services to be too high since they were used to getting them at discounts. It is important to have a non-prepaid retention program like a loyalty program to give them a pathway to discounts so they keep coming back in. Memberships are an important part of a company’s customer retention strategy and can serve many important functions like converting new clients into repeat visitors and incentivize more frequent visits. Now that you have the information needed to properly structure your memberships, you are sure to be more successful. 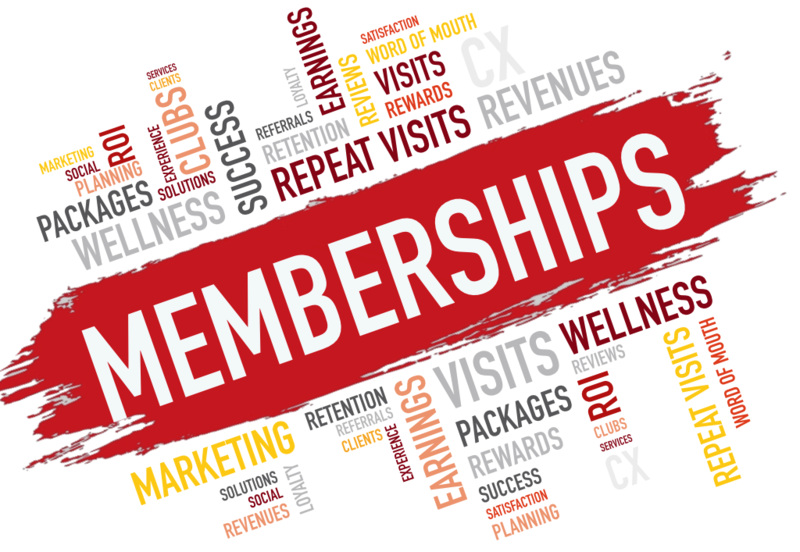 Be sure to subscribe to our blog to receive the next post that covers the club customer retention programs.